The Episode starts with Rocky thinking of Chintu. He recalls Sania’s words. He says I have to think practical now, I m doing this for family. He imagines Chintu asking him will he forget him after leaving the house. He drives off. He comes across Happy on the way. Driver scolds Rocky. Happy sees Rocky and asks are you rash driving once again. Rocky says sorry. She asks what’s the matter, you look disturbed. He says don’t know what to do. She asks him to just follow his hear when he is confused in life. She goes. Rocky meets Bhatia. Bhatia tells the construction plan. Rocky says my heart isn’t agreeing. Bhatia asks what. Rocky says I have got the papers signed, but I can’t cheat my family. He apologizes to Bhatia and Sania. She asks what’s the matter. He says this is my final decision, I can’t cheat Chintu and my family, go and handle uncle, he must be very angry. He sees some man coming there. He leaves. Happy signs the papers. She thanks Bappi. She says I m thinking to say yes to go to Chandigarh. She says I want to give the property papers to Chintu’s family. He asks her to go ahead. Bhatia asks the man to burn Khosla house. He tells his son about his revenge towards Kulwant. He says I will make Kulwant suffer, Rocky land in jail and build a hotel. The man asks what if there is someone at home. Bhatia says there won’t be anyone, I don’t want to get them killed, I want them to beg, they should know the feeling for losing everything. Rocky says Sania has kept prayer met for chintu. Kulwant says I m not well, I don’t wish to go there, I will take rest, you all go. Happy tells her family that they will go to Chandigarh if they agree. Sandhya says we can’t spoil future because of past, why would I say no. Goons come to Khosla house and ignite the fire. Happy comes there and gets shocked seeing this. Rocky drops the family to Bhatia house. He says I forgot my phone, I will just get it. Happy scolds everyone. Kulwant hears her shouting and goes to see. Happy asks the men to get away and leave. The goon hits stone at him. Happy scolds him. She asks Kulwant to get back inside. The goon runs to her. Rocky comes there and stops him. He recalls seeing him. He says Bhatia has sent you right. He says Bhatia is a powerful man, I m very weak, no chance, I can’t match up with him, but Chintu’s brother can fight anyone, Bhatia wanted these papers right. He burns the papers and asks goon to put this ash on Bhatia’s forehead. The goons leave. Bhatia sees everyone and thinks Rocky and his dad aren’t here. Rocky comes there and stops Bhatia from putting garlands on Chintu’s pic. He slaps Bhatia. Bunty and Sania stop Rocky. Rocky scolds Bhatia. Biji asks what are you doing. Rocky says Bhatia wanted to burn our house, my dad was inside, his goons were pouring petrol on the house, is this what he wanted to go. Biji says Bhatia wants to help us. Sania says stop it, he is my dad. Rocky says my dad would have died. Bhatia asks how did you think this, do you have any proof. Rocky says you want proof. He gets the goon and says he was pouring petrol on my house, I had seen him outside your house. Bhatia asks who is he. He sends the man. He lies to Rocky. Bhatia tells them how Rocky lied to them and got their signs on property papers. They all get upset with Rocky and leave. Rocky asks them to listen, Bhatia is lying. He puts the garlands on Bhatia’s neck and threatens to kill him. Bunty and Sania ask Rocky to leave, he has crossed all the limits and broke all bonds. Rocky takes Chintu’s pic with him. Rocky promises to make everyone right. He learns about Kulwant’s state. He worries. 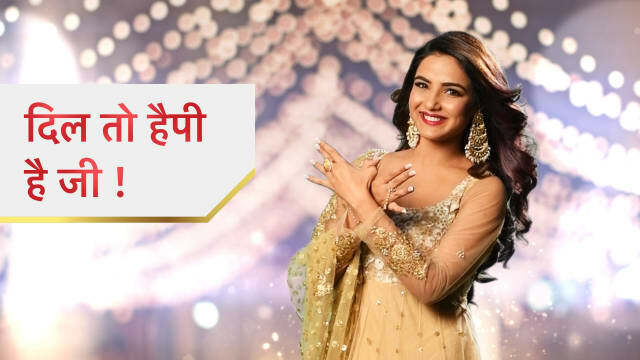 The post Dil Toh Happy Hai Ji 25th February 2019 Written Episode Update: Rocky learns Bhatia’s plan appeared first on Telly Updates.